Europe does not want Bulgaria even in the “waiting room” for the eurozone and not before the country’s banking system goes through “the purge” of the European Central Bank (ECB) oversight. The reason is simple – bombs, such as the collapsed Corporate Commercial Bank (CCB), continue to tick, and the central bank, (Bulgarian National Bank, BNB) has concealed them through accounting tricks in the so-called stress test of the banking system. They have been hidden from the Bulgarian public, but not from international experts. The latest exchange of courtesies about Bulgaria’s entry into the eurozone ended with a cold shower – Bulgaria will have to wait. 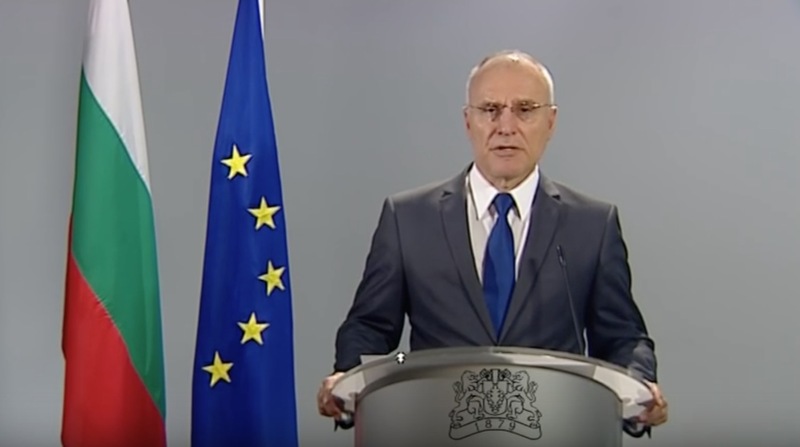 But in the following discussion, Prime Minister Boyko Borisov slipped a piece of important information: Brussels has set the condition for Bulgaria to first join the banking union and undergo the ECB’s banking supervision before applying for the ERM-2 mechanism, the so-called two-year “waiting room” for the euro. The BNB, which only four years ago allowed the collapse of CCB, issued an opinion, basically stating that it did not want the ECB to always be in its tracks by taking over the supervision and the decision making: “Feed the dog… Do not touch this button… This bank is a bad one. Close it!”. The requirement to first join the banking union means two things. Before Europe even lets Bulgaria into the waiting room of the “club of the rich”, the rich want to isolate our country in the quarantine room, “deworm” it from bad loans and disinfect it from the contagion of connected lending. Secondly, Europe has no confidence in the BNB, which was supposed to clean the banking system in 2016 through the so-called stress test. Why is Europe right and not the BNB? Because the complete incompetence and uselessness of Bulgaria’s central bank became more than evident during the CCB crisis and afterwards. It is enough to glance at the reviews of the Bulgarian financial sector by the IMF and the World Bank (FSAP) as well as by the European Commission (EC). All of these documents repeat the same: Bulgarian banks have problems with connected lending and credit concentration. All this suggests that for years the BNB has filed false data with our European partners. To polish things a bit, just two years ago, Bulgaria paid millions from its budget to Western audit firms for the famous stress test of the banks. It turns out, however, that it also had been seriously manipulated. In the reports on various Bulgarian banks, which Bivol has seen, there is a drastic discrepancy with the data published by the BNB. The necessary adjustments set by the auditors in 2016 after the asset quality review (AQR) are times higher than those officially announced by the BNB. This is about taking into account the effect of deferred tax assets, reversals of write-downs and other adjustments, as vaguely explained in the document by the BNB. For the year 2016, some value of a net AQR adjustment that suits the BNB is recognized, but it holds the capital adequacy indices within the allowable limits. This value is not real. The actual AQR adjustment reported by the auditors is many times higher. The difference between the real value and the value recognized by the BNB does not disappear, but it is carried forward as “projection for 2017”. However, it is not published and remains an office secret. So, the problem is postponed sine die, as in the next few years, a detailed AQR with the involvement of external auditors is not expected. Example: As Bivol revealed back in the fall of 2014, First Investment Bank’s (FIB or FIBANK) connected and concentrated lending problems are monstrous: the unemployed Cypriot Georgios Georgiou (actually Tseko Minev, majority shareholder) has received loans amounting to BGN 1.2 billion, companies associated with controversial Bulgarian businessmen Hristo Kovachki – BGN 300 million and Grisha Ganchev – a similar amount. After the bankruptcy of CCB, the business of another very controversial figure – lawmaker and media mogul Delyan Peevski, with over BGN 200 million is also threatening FIB’s depositors. All these loans are not being repaid, but are deferred and disguised through different tricks, as revealed in a 2011 BNB report, whose authenticity was confirmed by the prosecutor’s office. Of course, the external auditors have not closed their eyes and have correctly pointed out the startling amounts to be provisioned (hundreds of millions that have to be earmarked). However, the Bank does not have such money for provisions and must close. Unless the BNB cuts the AQR as much as needed. As we can see in the results of the stress test for FIB, the BNB has timidly confessed only BGN 419 million in AQR, instead of the real nearly BGN 2 billion. Nevertheless, the postponement of the problem does not lead to its solution, because neither Georgios nor Kovachki nor Peevsky intend to repay their loans to the Bank. No one will risk billions of European taxpayers’ money to repay Bulgarian depositors cheated by individuals connected with the criminal Bulgarian transition period after the fall of the Communist regime. In the more sophisticated banking terminology, the Ambassador’s conclusions can be interpreted as net AQR adjustments, which, in many cases, are times higher than the equity of the banks in question. From a legal viewpoint, when there is such a level of bad assets, the regulator must do the following: send supervisors into the bank, confiscate the shares of the owners and refer the latter to the prosecution. The other option is to remain silent and keep postponing the solution of the problem and hope for a miracle. The BNB has obviously chosen the second approach. But there is no way the ECB can be lenient to such a rot. The situation is not easy. The Bulgarian taxpayer has already been burned because of the CCB and will not agree to pull out another BGN 10 billion BGN to pay for bankers’ outrages without taking to the street and holding the government, the BNB and other institutions accountable. European taxpayers will not like either to be forced to shell a few billion euros because of Bulgarian depositors cheated in just another bank collapse. It has become clear now that nobody will let Bulgaria sneak in the eurozone just because the government is politically obedient. Because Brussels, Frankfurt, and other financial capitals have access to the real auditors’ reports and are fully aware of the real situation in the Bulgarian banking system.